The story of American Chemical Systems is the story of steady, well-planned growth. American Chemical Systems (ACS), a division of Wickham Enterprises, LLC, dates back to 1994. The main thrust of the business then was the leasing of commercial dish machines from service locations in mid-Missouri. We've come a long way since then. In 1997, we added three new service locations in Kansas and Oklahoma. We also began to develop and sell a complete line of specialty chemical products. From 1997 to 2002, we continued to expand our operation, adding new customers, products and employees to our operation. Our specialty chemical product line expanded to more than 100 items, and we introduced our own chemical dispensing system. Late in 2002, we opened two other locations that rounded out our market area with the additions of service centers in Kansas City and St. Louis. In 2005, we purchased two chemical companies and added their customers to our base. Two decades later, our company employs 25 full-time service and sales representatives who cover seven different Midwest states and work out of eight different service centers. 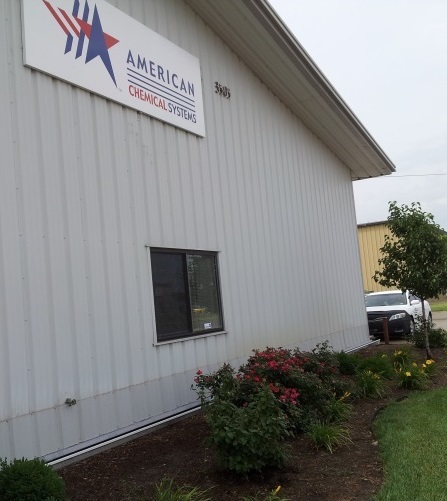 Each service center is staffed with a full time sales/service representative, a complete specialty chemical line, dish machine repair parts and delivery vehicles to services our ever-growing customer base. Our customer base includes restaurants, nursing homes, hospitals, schools, other distributors and industrial accounts.